Welcome to the grooviest site on the internets! You’ve been led here, surely by a search engine or a friend or a link of some sort, but I like to think a sliver of destiny intervened. My name is Ryan Phillips, and I’m the founder of Project: Groovy (or P:G as I like to call it). It was built from the ground up in 2013 sprouting from a small idea that hit me driving around Texas one day. The site was started as a place to simply blog about people throughout my life who have taught me certain lessons about psychology, sociology, happiness, and being an overall awesome person. I wanted to show those people gratitude for all they’ve done for me over the years, whether or not they ever realized it. There is a book in the works that encompasses all the thoughts I word-vomited on virtual paper over the course of a couple of years, expected to release late 2015. But, alas, evolution happens – and thankfully so! P:G gradually grew into a place where we can discuss the ideas behind gratitude with professionals on the topic, hit it from different angles, and dig deep to experience the true importance of gratitude in our lives. You see, I noticed a lot of discrepancy in the people around me, every day. They usually seemed quasi-happy overall, but I started to notice just how much people complain about, well…everything! That statement isn’t intended to throw stones, I’m sure I can be counted on to fill my complaint quota every month. Still, when I took time to do certain exercises that involved focusing on gratitude and the things in my life that I’m truly grateful for, bitching and moaning were never anywhere to be found – and I liked that. I started to realize what so many others have already known for centuries, but so many others still don’t: Gratitude is an extremely important key to happiness. It’s our belief that everyone wants to obtain more happiness in their life, above all else. Even if someone says they want money or fame or material objects or revenge or a great big lollipop, what they’re really telling you is that they want something that [they perceive] will make them happy. We have a shortcut. 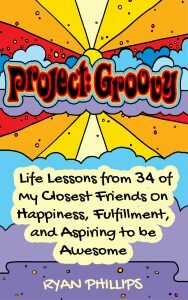 So, in order to advance in our mission to flood the world with happiness, Project: Groovy is here to educate anyone and everyone about the goodness of gratefulness, appreciation, and gratitude. We’ll show you how to use it for maximum effectiveness, love it, and even get some things off your chest! So, sit back, grab ahold of something, and prepare to smile. We’ll have you feeling as groovy as ever, faster than you can say the word ‘thanks’. Man, I wish I were happier – what am I missing? Why do I feel so moody sometimes (or most of the time)? I’m tired of the emotional rollercoaster, how can I make happiness a habit? What do appreciation and thankfulness have to do with changing my mood? How can I be happier and find more joy in my life? I hope so! Because you’re totally in the right place to answer any and all of them! At P:G, you’ll find information on happiness that may buck the trend. Instead of explaining that your future goals are where you’ll find your bliss (although still encouraged), we’ll show you exactly how you can be just as happy right now as you will be, should you accomplish ALL of your goals! They’re not mutually exclusive. You’ll find tips and strategies and information and surprises and tools and methods and insight and amazing people (some you will meet and some you already knew – weird, eh?) to help you with your quest for happiness using gratitude and appreciation. I promise you’ll learn things you did not know at Project: Groovy, and you will always feel better when you leave than when you got here…Promise. So, step inside, look around. Read all you want and use the tools while we work on bringing you more and more goodness! If you see a way we can improve your experience, I want to be the first one to know: Email Ryan. Ryan grew up in southeast Colorado, USA and graduated from Colorado State University. He is a mechanical engineer by trade, and an entrepreneur by design. He likes to travel as frequently as possible and has visited some of the best parts of North America, only so far. He may or may not enjoy crocheting and whittling small canoes. 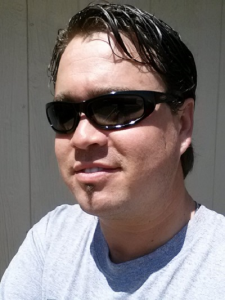 Ryan has worked for the entire millennium as an engineer in Colorado, New Mexico and Texas. A self-proclaimed ‘freak’ for self-improvement material, he spends much of his time reading, listening and writing about being the best human being he can be. He is the author of “Project: Groovy – Life Lessons from 34 of My Closest Friends On Happiness, Fulfillment, and Aspiring to be Awesome” released in September, 2015. He occupies his time with small business ventures and writes [almost] exclusively at the site he founded: www.projectgroovy.com. Welcome to the Grooviest Suite in FoCo! Get The Groovy Journaling Solution and Weekly Updates Free! we'll never sell or spam you - promise. More Happiness in Your Life in Just 7 Days Guaranteed - For FREE! Each of the next 7 Days, I'll send a new lesson directly to your inbox that will show you how to bring more happiness into your life. You're gonna love it!